Today's featured postcard was a private swap from Taiwan. 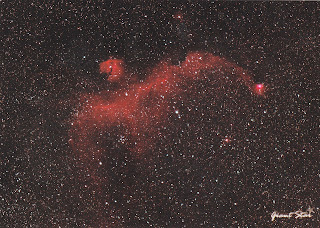 It shows IC 2177 (海鷗星雲), a region of nebulosity that lies along the border between the constellations Monoceros (麒麟座) and Canis Major (大犬座). 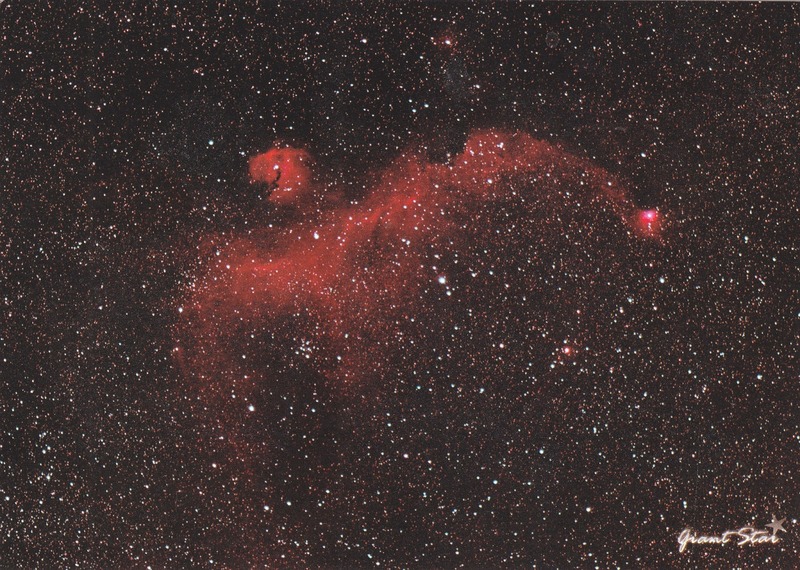 Combined with the neighboring regions of star clusters, dust clouds and reflection nebulae that contain NGC 2335 and NGC 2343, it looks like a soaring seagull in the eyes of amateur astronomers. Photograph by Giant Liou (劉志安) on October 23, 2011. Again, today coincides the 4th death anniversary of AstroPhysicist and Professor Fang Lizhi (方励之) who passed away in Tucson, Arizona on April 6, 2012 at age 76.